Whether you're taking a spin on a slot machine, doubling down at the blackjack table or going all in at the Poker Room, you'll always find your best bet in our casino. 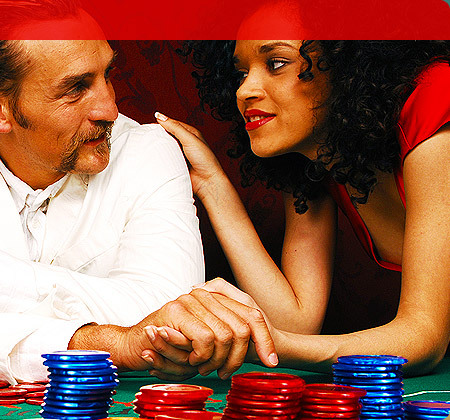 Step up to the table with our exciting table games including Blackjack, Craps, Roulette, Caribbean Stud, Let it Ride®, Crazy 4 Poker, Texas Hold 'em, Pai Gow Poker, Big Six, Three-Card Poker, Baccarat and more. With over 1,600 slot and video poker machines ranging from 1¢ to $100, there are countless ways to hit it big at this Las Vegas Casino. 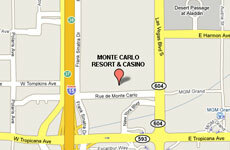 Monte Carlo offers slot players a little of everything. Guests can choose between games that can be played for one coin and games that allow players to wager multiple coins per spin. Whether it's the traditional "reel" slot machines to the latest video reel machines, players can go after single machine progressives, or try for the big bucks on one of our machines with a multi-million dollar top award. The enthusiastic Slot Player should sign up for Players Club. Qualified members will receive invitations for exciting promotions and special events held throughout the year at Monte Carlo. Enrolling is easy. 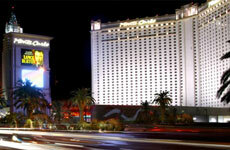 Simply go to the Players Club desk located on the casino floor and present a picture ID. Whether you're a beginner or a pro, you can find the perfect hand at our comfortable and exciting Poker Room. 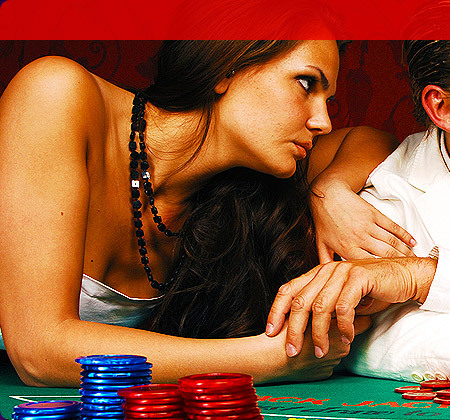 Plus, you can bluff your way to the top in our thrilling poker tournaments. The classic and recently popular Texas Hold 'em is dealt daily in this stylish new Poker Room. Deal yourself in because the action doesn't get any hotter. After all, where else can you find excitement, action and such a strong element of luck? High Hand Bonuses offered from Four-of-a-kinds to Royal Flushes. Monte Carlo's Race and Sports Book offers a high-energy environment, where you can catch all the exhilarating action of horse racing, pro, and college sports. With big-screens and live action, our state-of-the-art race and sports book is one of the most sophisticated in Nevada. Sit back in style and comfort as the vastness of our projection screens transports you to the center of the action and brings to life all of your favorite events. Monte Carlo's Race and Sports Book offers straight bets, parlays, totals, money lines teasers, and more. We also provide year-round parlay cards, including an exclusive "Money Line Card" where all you have to do is pick the game winners. Horse race fans can relax and get ready to cash in on the excitement of the day's top races from all major racetracks around the country, including New York, Florida, and Southern California. We pay full track odds on all bets (liberal race comp policies).